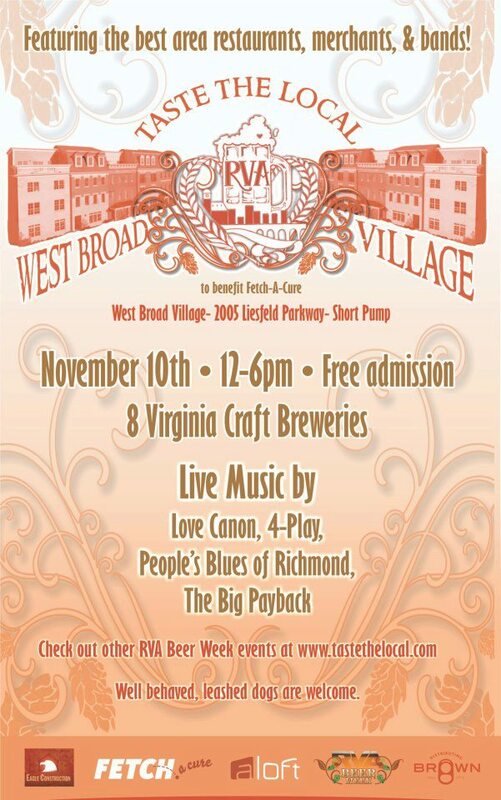 Don’t forget about this festival happening Saturday, November 10th. Taste the Local amps up their Autumn Bottom Brews festival and places it in the field behind Keegans and ALoft. This will be a great way to ease into the end of RVA Beer Week!